Every year I get each of my children some kind of gluten free chocolate (hopefully in bunny form) and a book. I believe that having traditions is important and that traditions don’t have to be complicated. Something as simple as a treat and a new book is tradition-worthy so long as you keep up with it. There’s no point in making yourself crazy trying to recreate that over-the-top Easter basket you saw on Pinterest. Do what works for you and your family. If Peeps are the most important thing at your house, don’t leave them out on my account! This year each of my kids will also be getting something to write with. The oldest will get some cool new colored pencils or gel pens. The middle child will probably get markers, and the youngest, the only one who actually likes to color, will get a big new box of crayons. Those will probably be placed along with a small blank notebook or such, possibly from the dollar store. All of this is to encourage them to draw or write on their own. It will strengthen their hands, which should help with handwriting and other fine motor activities. Activities and Toys are a Must. I love to put springtime activities in the basket. Something simple and fun like a set of jacks is ideal. If you don’t know how to play jacks, here is a short YouTube video showing you how. 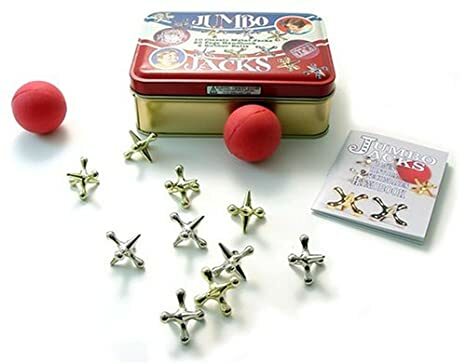 I love jacks for developing coordination, although it is a pretty hard game for smaller kids. For younger children, a jump rope, a set of side-walk chalk (and a lesson in playing hopscotch), or bubbles to blow are all great. Bubble blowing actually takes a certain amount of mouth coordination, which is great for the child who is still learning to pronounce all of her letters. And I have found it to be a great calming activity, even for the very active child. Something about sitting and blowing bubbles can just turn a bad day into a good one. Wind-up toys are a favorite of mine for the child who needs to develop some fine motor control. 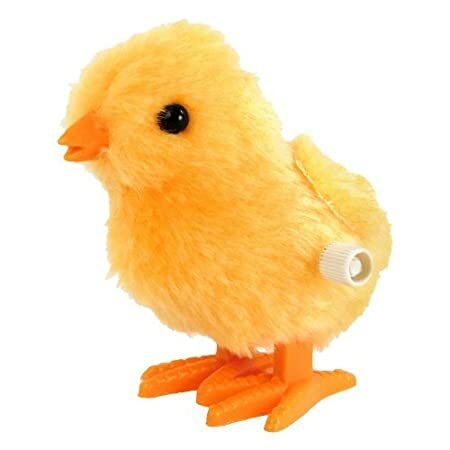 A tiny wind-up chick or bunny makes the child use a small pincer grasp and turn, using small muscles needed for buttons, zippers, writing, and other personal tasks. I also like craft kits, like stringing beads to make a new spring necklace. This activity can be graded for any age: small children get larger beads; children with better fine motor coordination get smaller beads. Try to get a set that won’t cause your child too much frustration. Another option would be to make a bird feeder. Hammers and nails promote hand-eye coordination and you can watch the birds all spring. There are some great kits out there for kids. And don’t forget to do an Easter egg hunt! If your child is young or isn’t very good at these, you can leave the eggs laying out in the open yard (which increases a child’s visual scanning skills). Having to climb onto a couch or to the top of the slide in the backyard to get to an egg encourages problem-solving skills. If your child is a bit better at this game, the act of having to hunt for the eggs inside of boxes, under toys, or in other ways just out of sight encourages further problem solving, requiring them to think logically about where an egg might fit or could be hidden. It can also be a wonderful way to have a more physical activity, depending on how hard the children have to work to find the eggs. My kids love to hide the eggs for a sibling or parent to find too, which also has great cognitive benefits. They have to think about where an egg will fit; experiment with under, over, above, below, and behind; and be creative. Plastic eggs can be a great way to work on hand strength as the child works on opening them! 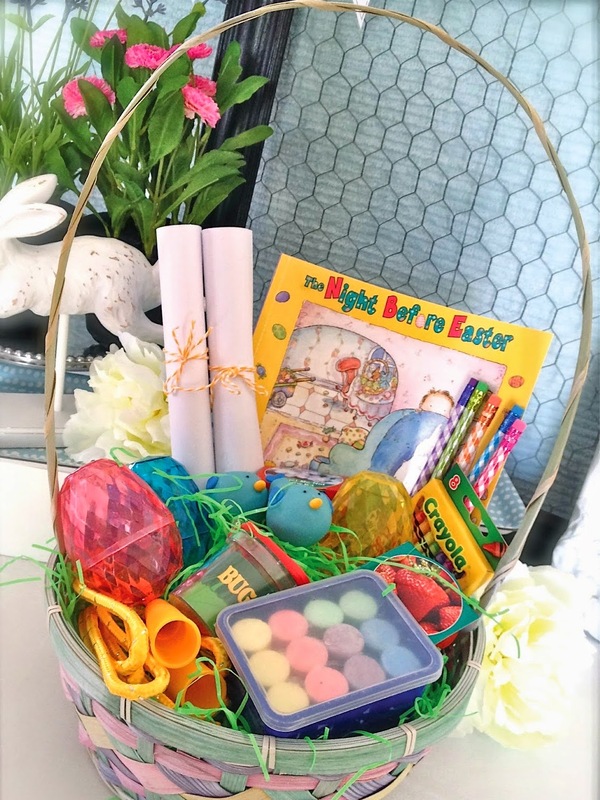 My OT suggestions for treasures to hide in the eggs include stickers, LEGO, tiny tops, beads to string, play dough, or finger puppets. If your child is small, Duplo blocks by LEGO or play dough are great choices. Previous: Previous post: 8 Reasons Why Swimming Lessons Should be Part of Your Summer! Next: Next post: Making letters fun!